Coffee now more popular than tea - and we've rediscovered tap water! Coffee has overtaken the humble cuppa as Australia's hot beverage of choice, with a new report finding the nation's palate is diversifying. The BIS Foodservices Coffee and Beverages 2012 report found Aussies have purchased more coffee despite price rises over the past two years. Tap water has also seen a resurgence in popularity, with people forgoing bottled water for the budget-friendly tap. 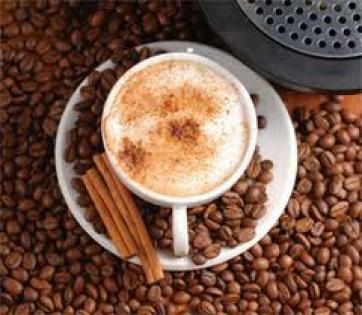 The number of cups of coffee purchased has increased from 1.8 billion in 2010 to 2.1 billion in 2012, a jump of 19.5%. The rise has occurred despite the average price for a take-away coffee rising 7% from an average of $3.62 per cup to $3.86. The average number of units of tea consumed per person per week at home has reflected this changing taste, falling from 8.6 to 7.9. "The demise of tea can largely be attributed to the demise in popularity of black tea," said Sissel Rosengren, head of BIS Foodservices. "Green tea and other types of tea have tracked reasonably well over the same period, but black tea with milk in particular has seen a sharp decline in popularity." Overall, the consumption of black tea with milk at home has dropped 11% since 2010. And the picture for tea both away from home and at work is just as bleak. Rosengren said tea was no longer trendy and consumers felt "short-changed when they spend $3 on hot water and a teabag".